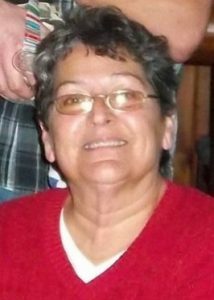 Elsie Jean Justus, 68, of Round Lake Beach passed away on Monday, August 28, 2017 surrounded by her loving family. She was born on December 30, 1948 in Virginia to Mary Magdalene Lester and Burton Justus. Elsie is survived by her husband of 49 years, Carl Justus; children, Carol Justus of Monroe, WI and Carl (Tracy) Justus of Chicago; grandchildren, Maycee, Tiffany, Sara, Shelby, Lauren, Dylan and Devin; great grandchildren, Saydee, Baylee, Jaelynn, Benjamin and Lorelei; and siblings, Nell Marie Price, Geraldine Wossley, Luther Justus, Joe Justus and Barrett Justus. She was preceded in death by her brother, Clyde Justus and 2 grandsons, Andrew Driggers and Dustin Justus. Friends of the family may visit on Friday, September 1, 2017 from 5:00 p.m. to 6:00 p.m. at Strang Funeral Chapel & Crematorium, 410 East Belvidere Road, Grayslake, IL 60030 with the funeral service at 6:00 p.m. For more information please contact (847)223-8122 or log onto www.strangfuneral.org. Jennifer Cathleen Johnson (nee Gibbons), 41, passed away Monday, August 21, 2017. She was born January 18, 1976 to Thomas and Mary (nee Clark) Gibbons. Jennifer is survived by her parents, Thomas and Mary Gibbons; her husband, Patrick Johnson; her 3 children; and many aunts, uncles and cousins. Our dearest little girl has joined the heavenly choir. Jennifer will be greatly missed but in fine company with all of her grandparents. Thank you for the three lovely children you have gifted with your heart, generosity, and compassion, Elizabeth, Marianna, and Caleb. We love and miss you! A visitation and memorial service is scheduled for Saturday, September 2, 2017 from 1:30pm until 2:30pm with the memorial service commencing at 2:30pm at Strang Funeral Chapel & Crematorium 410 E. Belvidere Rd. Grayslake, IL 60030. Interment will be held privately. For more information please contact (847)223-8122. Bernice Lis, 94, passed away Monday, August 21, 2017. She was the beloved mother to Gerald (Elfriede) Lis, grandmother of Jerry Lis, and an aunt to many. She was preceded in death by her 8 brothers and sisters, her husband John Lis and her son Richard Lis. A visitation and memorial mass is scheduled for Saturday, August 26, 2017 from 10:00am until 11:00am with a memorial mass commencing at 11:00am at St. Gilbert Catholic Church 301 E. Belvidere Rd. Grayslake, IL 60030. Interment will be held privately. All funeral arrangements were entrusted to Strang Funeral Chapel & Crematorium 410 E. Belvidere Rd. Grayslake, IL 60030. For more information please contact (847)223-8122 or log onto www.strangfuneral.org. Debra J. Eness, 65, of Grayslake, passed away on Friday, August 18, 2017. She was born on May 10, 1952 in Chicago, Il to Douglas and Josephine Chamblin. She was a member of Joy Lutheran Church. She was a devoted and loving wife and mother. Debra is survived her husband, Dan; and children, Amanda, Dana and Scott. A visitation and funeral service is scheduled for Saturday, August 26, 2017 from 1:00pm until 3:00pm with the funeral service commencing at 3:00pm at Strang Funeral Chapel & Crematorium 410 E. Belvidere Rd. Grayslake, IL 60030. Interment will be held privately. For more information please contact (847)223-8122. Laura M. Huseby, 85, formerly of Perley, MN, passed away Friday, August 18, 2017, at Advocate Condell Medical Center in Libertyville, IL. Laura is survived by her children Lana (Tim) Madole and John (Elena) Huseby III, her grandchildren Trina (Joe) Metz, Jason (Rebecca) Madole, Jennifer (Steve) Raclaw, and Allison Huseby, and her 9 great-grandchildren. She was preceded in death by her husband of 42 years, John Huseby, her parents, 1 brothers, and 3 sisters. Interment will be held privately at Avon Centre Cemetery. In lieu of flowers, memorial donations may be made to Advocate Hospice 365 Surryse Rd. Lake Zurich, IL. For more information on services, call (847) 223-8122 or log onto www.strangfuneral.org. 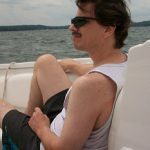 Michael Paul O’Donnell, 53, of Gurnee, Illinois passed away in the loving arms of his family on August 15, 2017. He was born on March 26, 1964 to Joseph and Mary O’Donnell in Des Plaines Illinois, where he grew up with his two sisters Colleen and Suzanne and his younger brother Brian. He will be remembered for his love of golf and the Cubs, his interest in classic cars and his wonderfully humorous personality. Michael left behind his loving wife Kimberly, two caring daughters Emily Louise and Kathleen Mary and his constant canine companion Dublin only to reunite with his parents and beloved dog Bear. His memorial is scheduled for Saturday, August 19, 2017 from 11AM to 1PM followed by a prayer service, commencing at 1pm. at Strang Funeral Chapel, 410 E Belvidere Rd. Grayslake, Illinois 60030. Following the service his family would be honored for everyone to join them at his home for a celebration of his life where we can exchange memories, enjoy his favorite foods and drinks, and commemorate his life as he deserves. For more information please contact (847)223-8122 or log onto www.strangfuneral.org. Robert R. Deabel, 84, a resident of Chicago, IL passed away Tuesday, August 15, 2017 at Manor Care in Libertyville, IL. He was born May 27, 1933 in Chicago to Paul and Elizabeth (nee: Hirtzig) Deabel. Robert is survived by his sister Joan Bishop, his brother Ronald Deabel, 5 nieces and nephews, 12 great-nieces and great-nephews, and 4 great-great-nieces and great-great-nephews. He was preceded in death by his parents. Friends of the family may visit at STRANG FUNERAL CHAPEL & CREMATORIUM, 410 E. Belvidere Road, Grayslake, IL 60030 on Sunday, August 20, 2017 from 2:00 p.m. until 6:00 p.m. The funeral service is scheduled for Monday, August 21, 2017 at 10:00 a.m. at the funeral chapel. Interment will be held following the services at Memory Gardens in Arlington Heights. For further information, please call (847) 223-8122 or visit www.strangfuneral.org.